AFAS understands the challenges that come with active duty Air Force life, from deployments to PCS orders, and offers targeted community programs to help make everyday life on base a little easier. The specific AFAS supported community programs offered varies between AFB installations. Visit your Airman & Family Readiness Center to discover which of these programs may be available to your family. Air Force Aid Society supports a wide variety of Community Programs at AFB installations across the world. Learn more about the programs currently offered. Our popular Bundles for Babies class is designed to teach soon to be and new parents basic parenting skills, as well as essential financial skills to help them budget for their new baby – from birth to college. The class is also a great opportunity to connect with other expectant parents on base. After completing the class, parents will receive a gift card from AFAS to help purchase some of baby’s first essentials. This class is open to all ranks of service and is not limited to a first pregnancy. Contact your Airman & Family Readiness Center to find out if this program is offered at your base. This program is designed to keep the primary family vehicle of a deployed active duty Air Force member in top running condition. AFAS will help provide preventive vehicle maintenance including oil/filter changes, fluid check and replacement and vehicle safety check. Spouses of active duty Airmen deployed away from their duty station for more than 30 days are eligible for the Car Care Because We Care program. Service is limited to once per deployment (maximum of two times per calendar year) and is intended for the primary family vehicle only. The program is also extended to spouses of active duty Airmen assigned to a remote tour, as well as First Term Airmen. Visit your Airman & Family Readiness Center to learn more about how this program works and find out which options are available at your base. Parenting can be stressful. Those stresses can be even more acute for a military family. 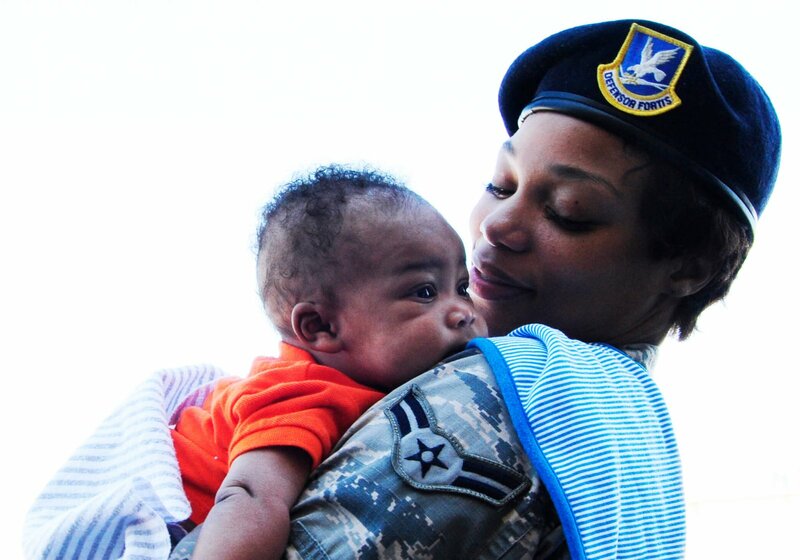 AFAS offers several programs to help Air Force families with child care needs. Visit your Airman & Family Readiness Center to inquire about how these programs work, discover which options are available to you at your base and request a certificate to participate. 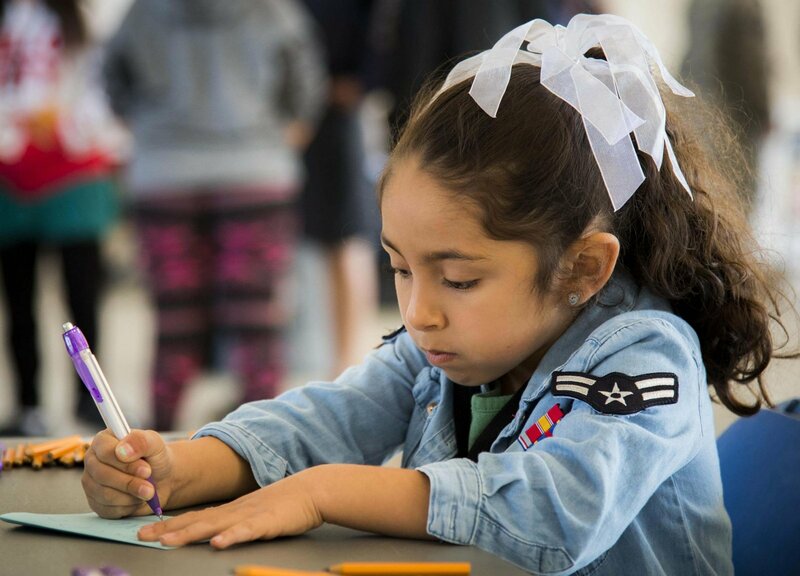 This program provides funding for monthly child care breaks for active duty Air Force families who need a break from the stresses of parenting. Families are referred to the program and receive a certificate to participate. Once a month, the AFB Child Development Center will open to participants. This program is intended to help relieve some of the stress inherently associated with the PCS move process. AFAS will pay for 20 hours of child care (per child) in Air Force certified Family Child Care homes. Air Force families with PCS orders are eligible for this service. Volunteers are essential to any AFB community. To encourage and enable Air Force family members to pursue base volunteer opportunities, AFAS provides funding for child care to help offset expenses for volunteers who support programs which benefit the entire base community. The child care must be provided in an Air Force certified Family Child Care home. This program provides entry-level job training to active duty Air Force spouses with a goal to help them secure immediate, viable employment. Community Readiness Consultants at individual Airman & Family Readiness Centers work with local community colleges to tailor training that matches requirements of local employers interested in hiring military spouses. AFAS pays for tuition, instructor fees, and course materials for spouse participants. Visit your Airman & Family Readiness Center to learn more about how this program works and what training opportunities are available at your base. Heart Link is an Air Force program designed to strengthen military families and enhance mission readiness by helping to orient new Air Force spouses (typically 5 years or less) to active duty military life. Recognizing that spouses play an important role in the success of an active duty Airmen, AFAS helps support this important program. The Society provides some funding for the Heart Link program. More importantly, AFAS allows the Child Care for PCS benefit to be used in conjunction with Heart Link participation. Visit your Airman & Family Readiness Center to learn more about how this program works at your base.